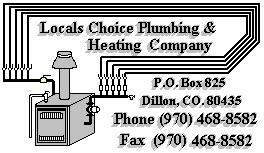 Locals Choice Plumbing & Heating Co.
"The Locals Choice, The Only Choice"
I'm currently working on this site. I want to let our customers know I'm here for them. I hope to take care of your service needs. Some of my customers said they heard I retired but that was never the case!! I no longer have a big staff but I will always give you the quality service you've come to know. Heating system repair, service and installation. 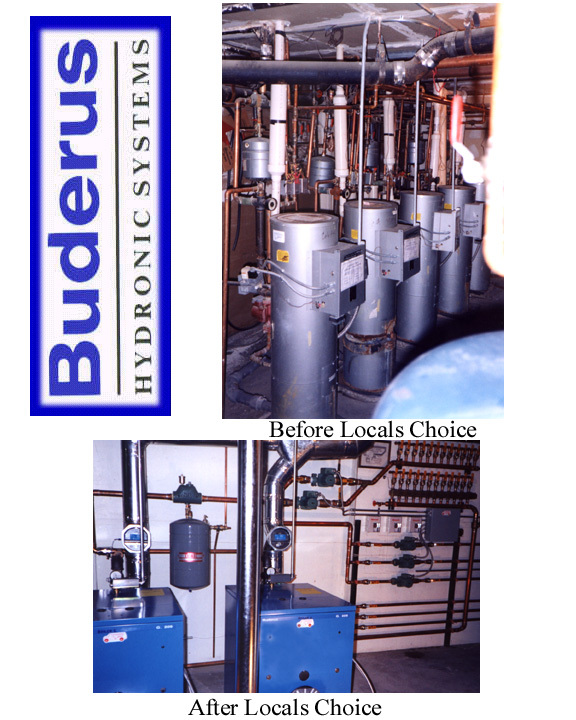 Boiler, Forced air furnace and Solar systems. Any make or model. Large or small. Top Quality In-floor heating systems. Combustion testing with a print out to maintain maximum efficiency. Carbon Monoxide and gas leak tests. Boiler cleaning and high altitude adjustments. Gas pipe sizing and installation. Water heater repairs or replacements. Plumbing repair, service and installation. Inspections, Call a plumber BEFORE you buy! We DO NOT provide drain cleaning at this time. We fix everything from a dippy faucet to a major remodel. a new more efficient system. My job is to save you money.